We bought these to dress up toys and make new toys. They're bright, cheerful and eye catching. 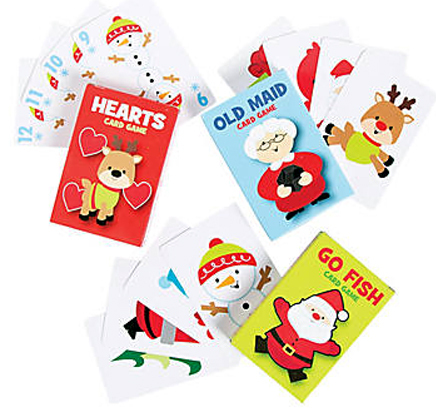 These are also fun for children, adults and parrots alike! 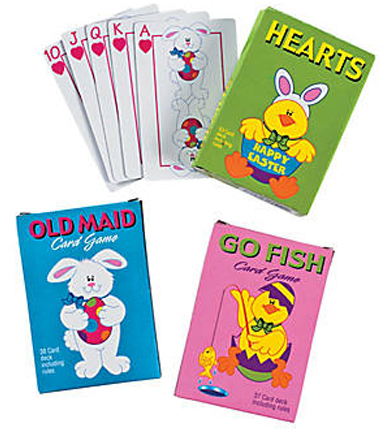 You get one of each game (Go Fish, Hearts, and Old Maid) ... just choose Christmas or Easter!